Overall, the economy should expand by 3% in the medium term. 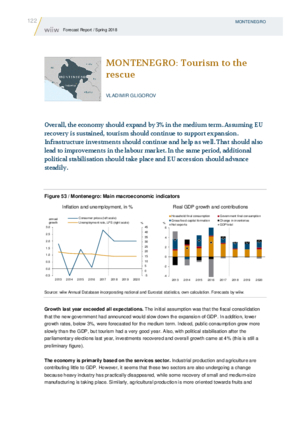 Assuming EU recovery is sustained, tourism should continue to support expansion. Infrastructure investments should continue and help as well. That should also lead to improvements in the labour market. In the same period, additional political stabilisation should take place and EU accession should advance steadily.